In anticipation of rising manpower needs for Singapore's fund management sector, State Street Corporation yesterday inked an agreement with Nanyang Polytechnic (NYP) to offer scholarships and extended internships to students enrolled in its Fund Management & Administration diploma course. State Street has committed $48,000 over the next three years to offer four full scholarships a year to students taking the fund management and administration diploma - the only such polytechnic course here. Each of the bond-free scholarships is worth $8,000; half will come from State Street, while NYP will match its contribution with the other half. State Street, which provides financial services to institutional investors in the Asia-Pacific region, will also offer up to eight internship places to third-year students on the diploma course. The six-month programme is significantly longer than the standard 10-week internship most NYP students undertake. This partnership comes as Singapore's growing fund industry is in search of rising numbers of trained professionals and "will play an important role in attracting more young talent" to the diploma course, said Henry Heng, senior director of the School of Business Management. 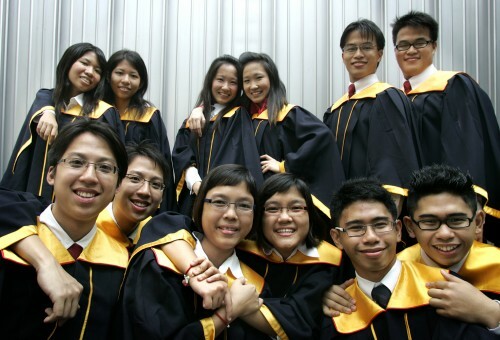 NYP's full diploma in fund management and administration was launched in 2009 in response to a shortage of trained personnel for the fund industry here. It now takes in 55 students each year and has produced 148 graduates so far. Typically, about half of each cohort join the fund management industry after graduation, as others choose to pursue a degree or other lines of work instead, Mr Heng said. Meanwhile, demand for trained workers is set to keep rising. A recent study conducted by NYP and the Investment Management Association of Singapore found that a majority of fund administration support functions are outsourced locally. With assets managed by Singapore-based fund managers growing at an average annual rate of 9 per cent from 2007 to 2012, demand for investment professionals and fund administrators is also rising at an average annual rate of 6 per cent, Mr Heng added. For State Street, both the scholarships and internships will help to build its own pipeline of talent, a key pillar of its strategy to double its Asia-Pacific revenues, said Narasimhan SL, State Street's director and head of talent acquisition in Asia Pacific.